ZA alloys feature a unique material combination that’s versatile for a variety of casting processes. For example, cast iron and bronzes are normally sand cast, which require extensive machining to obtain final tolerances. However, the process of graphite permanent molding coupled with ZA makes for short lead times, precision cast tolerances, excellent detail and superior surface finish. The process begins with the pouring of molten metal into molds machined from solid graphite. The parts are ejected from the semi-automatic machines for manual trimming. This type of casting combines modest tooling costs with good precision and surface detail, serving as a low-cost alternative to die casting. Speed plays a major factor as graphite can be machined, allowing for rapid engineering changes, often in hours or days as opposed to weeks or a month for other foundry processes. Additional elements include improved tolerances, finish and elimination of secondary machining. These allow the GPM process to exceed the potential of sand and permanent mold casting. 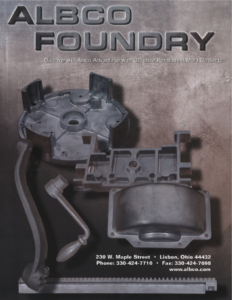 Graphite permanent mold is ideal for prototyping, especially when higher pre-production quantities are needed. 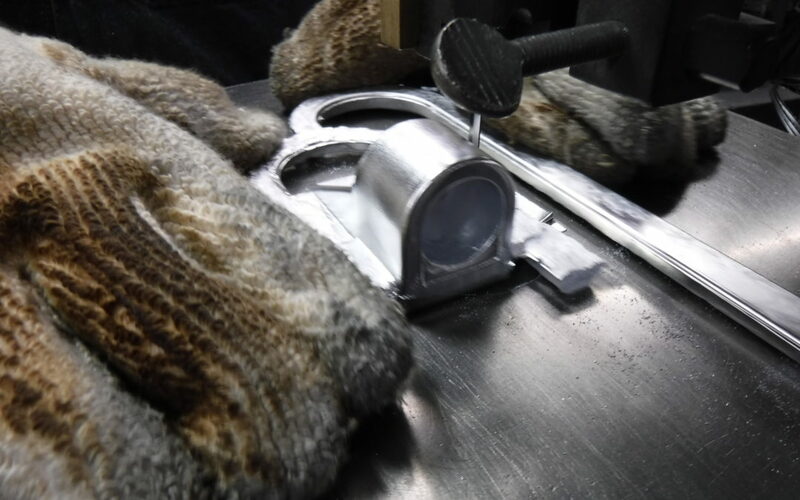 Albco’s in-house mold shop is capable of producing prototypes and molds in less than a few days.